Until now I still dream of a nice mudroom to have. For those who've been in our little home, you've noticed that our mudroom is still under construction, the floor concrete still have another half to accomplish. Hubby has been very busy at work since the start of Spring as it's the kind of work he does, I don't know when will this ever be done. 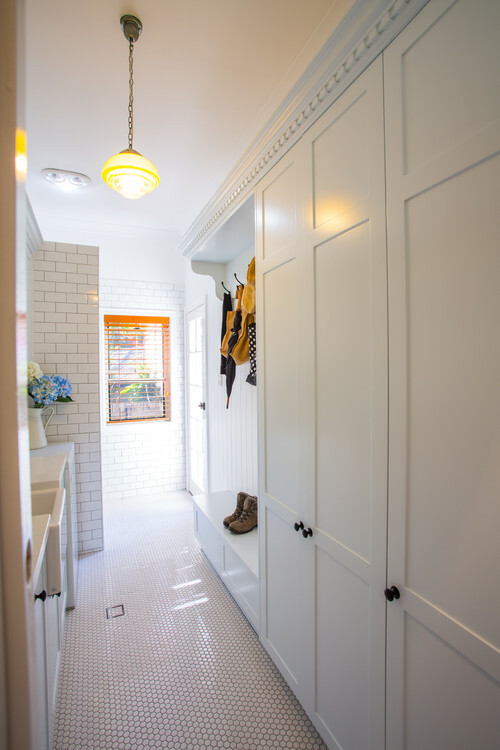 However, I only dream for a small thing to make our mudroom as neat and as relaxing as the photos below. Thanks to houzz.com for the collection they have online, I have ways to check and get details for our home. A well-organize mudroom would the development to have.